As we move closer to offering a complete SLIC cable loom MCRU offer a new lease of life for your vinyl collection, the Slic tone-arm cable. The microscopically low signal from your cartridge is very susceptical to interferance, the Slic is a super low interferance cable design able to allow more detail and information to pass through un-interrupted. 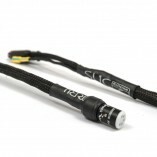 The Slic Innovations Eclipse C range of cables continues to evolve. We have received positive feedback from our customers on the RCA interconnects and digital cable, the loudspeaker cable is currently being evaluated for us and now we introduce the Slic tonearm cable. Terminated with a 5 pin mini din connector and the new KLE Innovations Harmony pure silver RCA plugs, the cable will allow you to hear more from your vinyl than you ever thought possible. The tonearm cable should be used ideally with a matching RCA set of Slics to go from phono stage to amp/pre-amp for the best performance. 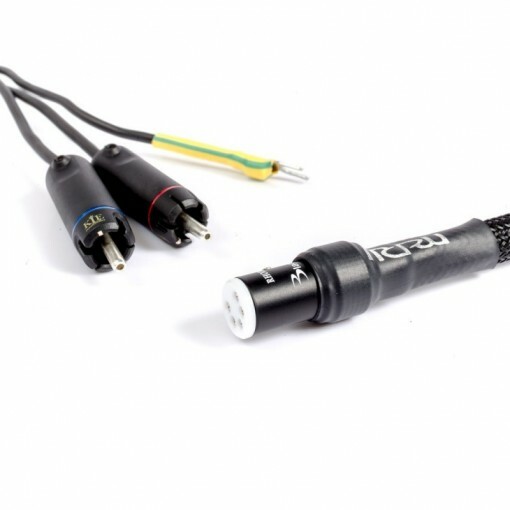 We have available a matching set of RCA-RCA cables especially for vinyl playing applications with a dedicated earthing wire at each end.